Tchaikovsky: Symphony No. 5 in E Major, Op. 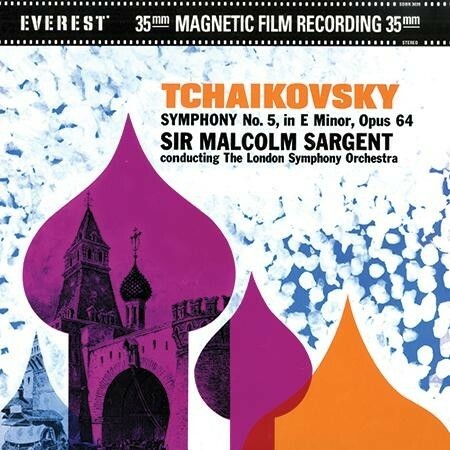 64 by London Symphony Orchestra & Sir Malcolm Sargent. Many a great work of music has gotten off to a bad start because it has been belittled or rejected by a press or public who have failed to understand or appreciate it. In the case of Tchaikovsky's Fifth Symphony, however, it was the composer himself who underestimated its musical and artistic value. Tchaikovsky had completed his Fourth Symphony in 1877. It was a work of which he was always very proud - "our symphony" was the way he often referred to it when corresponding with his benefactress, Nadejda von Meck. The Fifth Symphony was at first considered a failure by the composer after its first few performances were poorly received. Further performances proved to the composer and the critics that, in fact, this great Symphony was worthy of further consideration and ultimately widespread acceptance.